Stunning bespoke plantation Window Shutters in Windsor and Maidenhead. Shutters from the experts, made exclusively for your home with a lifetime guarantee, call today on 01494 917 055. The Royal Borough of Windsor and Maidenhead plays host to a sublime range of dwellings, with traditional townhouses and rural retreats aplenty, we at Just Shutters provide a wealth of experience and a delicate touch when it comes to working our magic in your home. Our window Shutters in Windsor and Maidenhead are a beautifully versatile window dressing, not confined by shape or size, they can be used for the smallest porthole window, or the largest atrium and everything in between – and we have experience across the lot! With over 7000 happy customers, we can provide you with expert knowledge and a personal service. Shutters have long been the window covering of choice among many of the boutique hotels and top interior design houses, they have now become the fastest growing window dressing among the stylish and savvy home owner and the reasons are clear to see; not only do shutters look simply stunning, enhancing light, space and the features of a window or door, they are also extremely practical and a joy to live with. 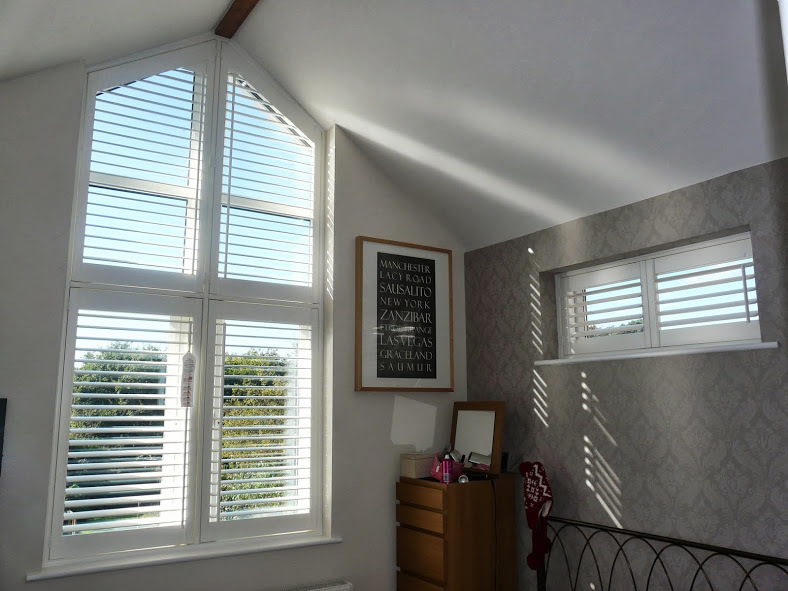 Easy to maintain and keep clean, shutters do not attract moulds, mites or allergens as fabrics can, they give a clean and sophisticated look to a room. Our range of styles and finishes mean we can match beautifully any interior décor theme from crisp whites, through warm woods, to the boldest of colours; we can compliment your style with ease. Since 2006, Just Shutters have been dedicated shutter experts; we set about creating a company that was special by putting customer service first. This has helped us build an unrivalled reputation and boast a 9.9 out of 10 as the most reviewed shutter company in our area. To find out why we are the best, call us on 01494 917 055 or follow the links above and we will be delighted to show you. Shutters to dining room bay window and 3x bedrooms. Plantation shutters fitted to windows. Plantation shutters fitted to our ground floor windows.